A recent ride with a particularly nervous cab driver reminded me of that bit. While we were talking, I realized the source of his rage: WAZE. He claimed that the navigation app frequently misled him and that his experience taught that it tended to choose obscure routes. “How grateful is this driver?” I wondered. This moment in which WAZE extracts the quickest and most distilled route to his destination relies on accumulated knowledge gained by supreme and sisyphic effort for thousands of years. All the great achievements of science – mathematics, physics, geometry, astronomy, astrophysics – have come together in this magical moment. And this spoiled cab driver has the nerve to complain? That flight of fancy led to pondering navigation technology or more precisely the compelling story of Abraham and Jehuda Cresques, the father and son who created the Catalan Atlas. Remember the medieval geographic masterpiece? Remember the atlas? Until a few years ago, you could find one in nearly every home. Now in 2019, it is a vintage item like the doorstop – replaced by apps like Google Earth, Google Maps, and of course, our friends at WAZE. Yet we must still heed the warning of the cabbie’s wisdom. Technology isn’t born in a vacuum. Technology is gathered from knowledge atop knowledge. Layer upon layer, with every layer derived from the one before. 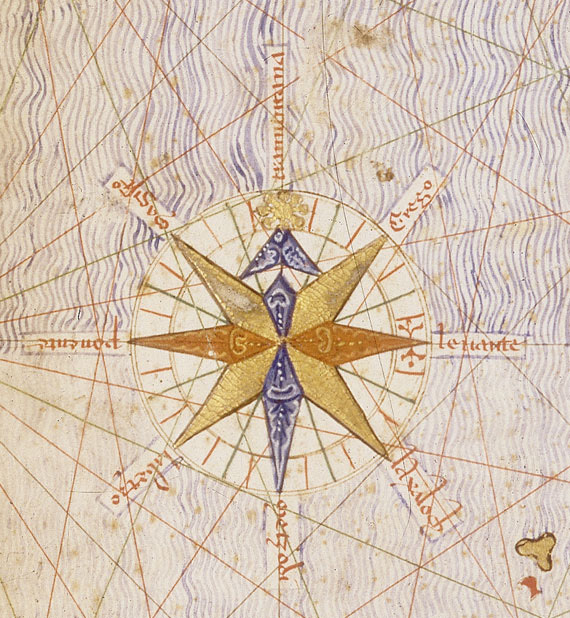 Abraham Cresques’s and son’s Catalan Atlas can indeed be placed among the layers in the development of navigation technology. The son of rabbis, Abraham Cresques was born in Majorca in 1325. Majorca is now known mainly as a tourist attraction for fans of the tan and Vitamin D. But in those days, the island was a global trade center and home to an erudite elite: astronomists, cartographers, navigation tool inventors, physicians, etc. When he grew up and established a family, Abraham passed his passion for mapping to his son Jehuda. Before long, they were known as the most prominent cartographers among Majorca’s scholars. 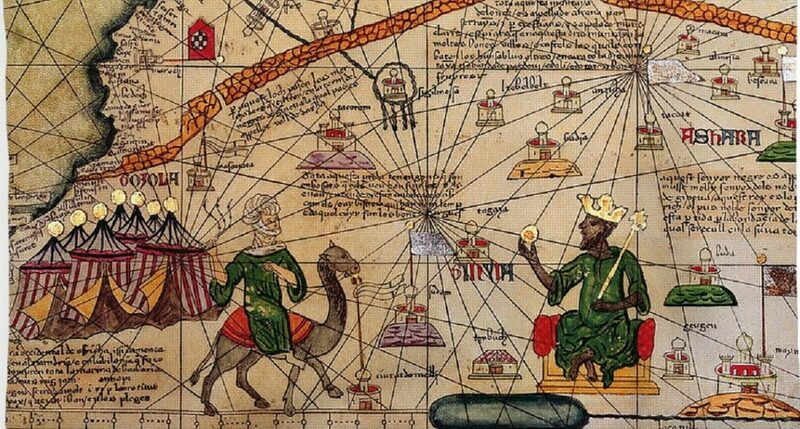 Their place in history was sealed in 1375, when King Juan I of Aragon commissioned them to create a number of navigation maps of the world that would emphasize broader detail than previously accepted maps. The king’s command was simple: Include all “the East and the West” and add “everything in existence west of the Gibraltar Straits.” The remuneration: 150 gold coins of Aragon and 60 Majorcan pounds. That permitted the father and son to devote all their time to the royal project. Hunkered down in their home in the Jewish Quarter of Palma de Mallorca, they completed the work a year later. The result was a masterpiece. Nothing less. The strikingly beautiful Catalan Atlas was comprised of six, narrow, long, side-by-side maps packed with lovely illuminations, depicting Marco Polo riding a camel to China and other events and wonders of the world. The six maps mounted on wooden boards bound in leather included texts that enriched the reader with vast knowledge of cosmography, astronomy, and astrology. The texts were flanked by expansive illuminations highlighting Earth’s shape and providing a rare glimpse of the 14th century world. The maps also gave sailors vital information about the ebb and flow of tides and how to make them out after dark. America had yet to be revealed to the Europeans at that time and thus America and other continents appear on the map as abridged dim entities. In contrast, Jerusalem appears in a place of honor at the atlas’s center. Another of the atlas’s innovations is its use of the beautifully-shaped illustrations that inspired the ubiquitous icons in the modern atlas. Christian cities were depicted by a cross; Muslim cities by a dome; and flags depicted each city’s political allegiance. Wavy, blue horizontal lines symbolized the ocean. Important roads were labeled in red, while others were marked in black. The illustrations and text were aligned on the maps’ margins, suggesting that the atlas was designed for practical use rather than museal adornment for aesthetes. Researchers cite Abraham Cresques and son’s Catalan Atlas as “the most accurate guess at the world map in the Middle Ages.” The atlas is now preserved in the National Library of France in Paris. But next year, when the new Permanent Exhibition of the Museum of the Jewish People – Beit Hatfutsot opens an entire wall based on the atlas will map the places in which Jews lived. Prompted by the awareness of the “wandering Jew” or other factors, The Cresques family paved the way for future Jewish cartographers in Spain. The most prominent of all was Abraham Zacuto, the world-renowned cartographer and astronomist who developed the astrolabe, the most popular nautical navigation tool in the Medieval Era. NASA paid him the honor of naming the Zagut Crater on the moon after him. In exactly one year from now in April 2020, when our new Permanent Exhibition opens its doors, key into WAZE the Museum of the Jewish People – Beit Hatfutsot and get an impression of the Catalan Atlas created by the genius Jewish father and son cartographers of the House of Cresques. And by the way, drive your own car. Forget cabs. It’s less aggravating.